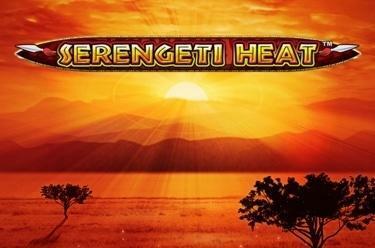 Play Serengeti Heat™ online for free now! Travel to a faraway land and immerse into a different world - that's what awaits you in Serengeti Heat™, the slot where the African savannah takes center stage. Watch giraffes and zebras roaming around the reels without win lines: With a little luck you will also spot a herd of lions that will immediately carry you to the free games! All paths lead to winnings: There are no defined win lines in Serengeti Heat™! All you need to win is 5 matching symbols that can land on adjacent reels from left to right or right to left. Numerous special symbols support you on your winning mission: You complete your combos with the acacia tree (Wild symbol) because it substitutes for any symbol except for the Bonus symbol and the Scatter. You win when the Scatter symbol (shield with 2 spears) lands 3, 4 or 5 times in any reel position. 5 Bonus symbols (eyes of the lion) trigger 8 free games. 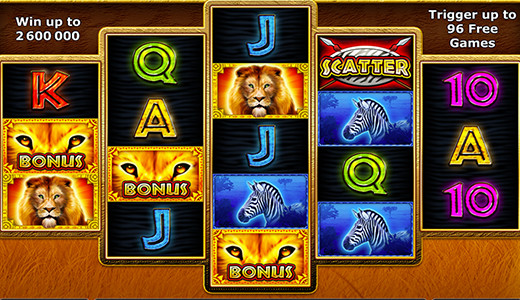 5 Bonus symbols (eyes of the lion) trigger 8 free games with the line numbers and stakes of the regular game. You win 8 further free games if 5 Bonus symbols land during the free games: That way you can win up to 96 free games!